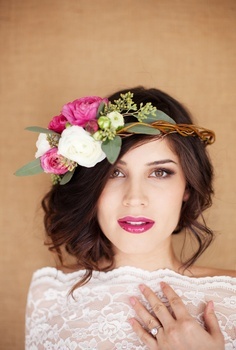 Gorgeous wedding styling can be added through hair accessories as much as it can be achieved through jewelry. I love that you can completely change the look of a dress – something that is oft overlooked as a way to move from the ceremony to the reception. 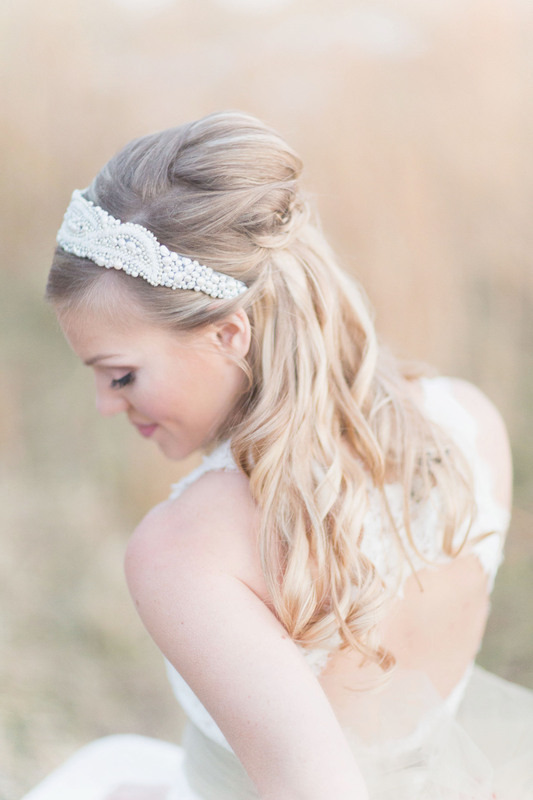 Playful, elegant or modern, hair adornments are a way to take your wedding accessories to a new level. 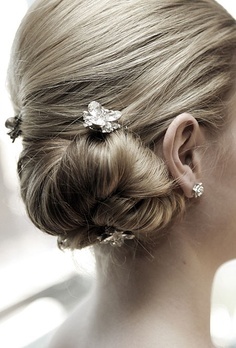 Place a cluster of vintage pins or combs above a chignon. Purchase from Bhldn. Pops of color effortlessly accessorize a farmhouse wedding theme. Contemporary take on pearls bring new meaning to headbands. Purchase from Elisabeth Newton. Layer a necklace over a veil for a bohemian look. Strategically placed pins create a bejeweled bun. 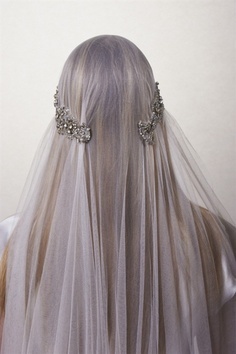 Overlay headpieces on top of a veil to lend a new silhouette. This entry was posted on August 11, 2013 by elisabeth in wedding + bridal and tagged bridal accesories, elisabeth newton wedding, wedding accesories.